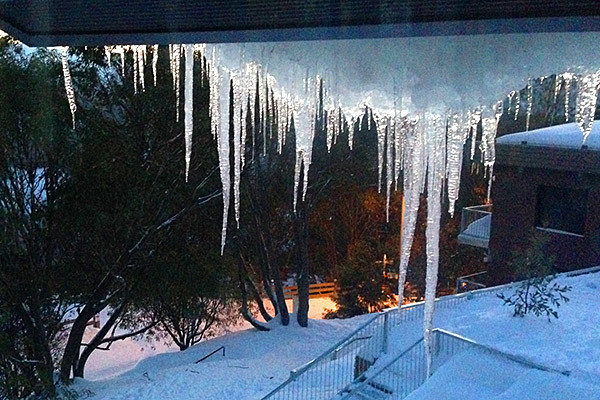 The KVSC Lodge is located in Falls Creek Alpine Resort, high in the Australian Alps in North East Victoria. 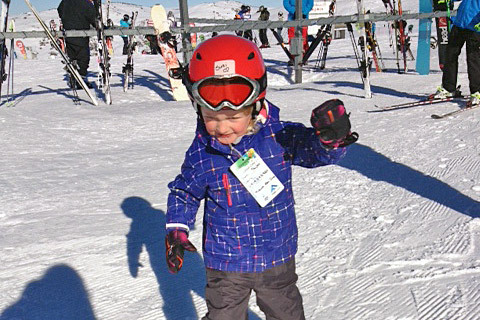 Falls Creek is surrounded by some of Australia's most spectacular scenery and some of the nation's best skiing terrain. The KVSC Lodge is perched above the snowline, on the high side of Falls Creek Road, looking due north up the Kiewa Valley. Recent extensive refurbishment means our family-friendly lodge provides a very congenial and comfortable standard of accommodation and the location is indeed five-star. Just a short walk from the main car park, the Lodge is also close to the Oversnow Transport Depot, meaning it’s relatively quick and convenient to get in and out of KVSC when loaded up for your stay. The Lodge accommodates a maximum of 26 people in a variety of room sizes and configurations: single beds, double bunks, and combinations of both beds and bunks. Bathroom facilities are shared, and easily accessible on all three floors. A spacious drying room and laundry facilities are available for guest use. The large, communal country-style kitchen has most mod cons including plenty of fridge space, an industrial dishwasher, two large modern gas stoves, a microwave, and a vast array of kitchen implements. For fresh air lovers, the balcony BBQ makes under-cover outdoor cooking an attractive option. A generous range of non-perishable food is supplied to make catering a breeze. There are two large living areas. 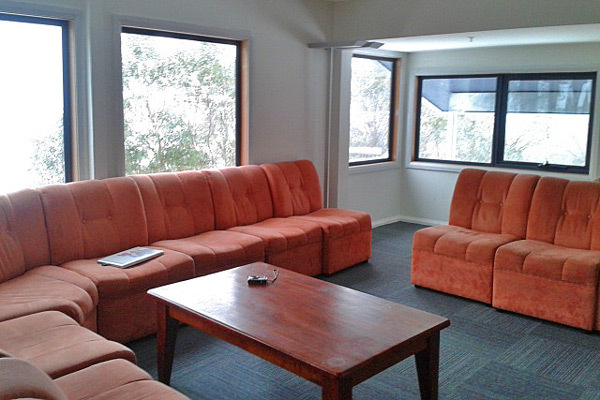 The upstairs lounge on the kitchen level has dining tables and comfortable lounge chairs, while the games and sitting room downstairs has a table tennis table for active guests or couches for conversation or reading or just watching the world go by on Falls Creek Road. In the colder months, efficient gas heaters keep the lodge warm and cosy. There are ample storage areas for recreational or sporting gear, including a secure bike room. 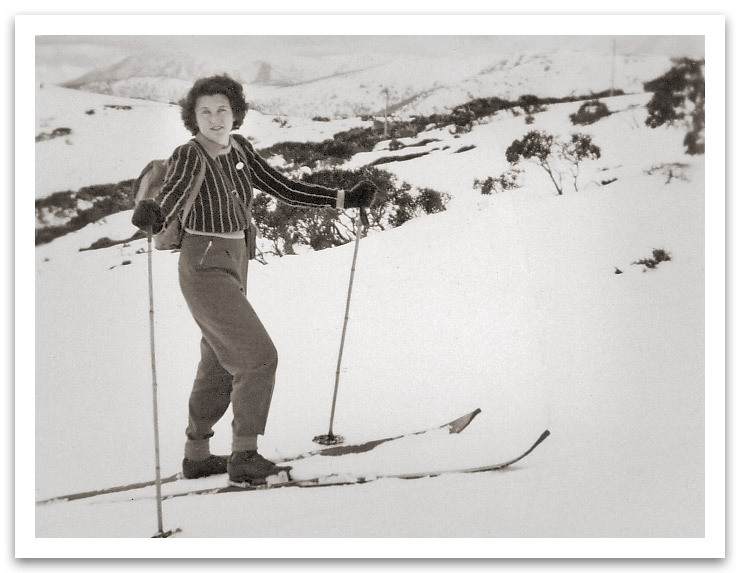 Early skiing at Falls Creek, circa 1949. To celebrate the 50th anniversary of KVSC in 2002, the club compiled a history booklet containing many interesting facts and figures, along with a fair dash of reminiscence. Please contact Ann Kemp [email protected] to find out more.